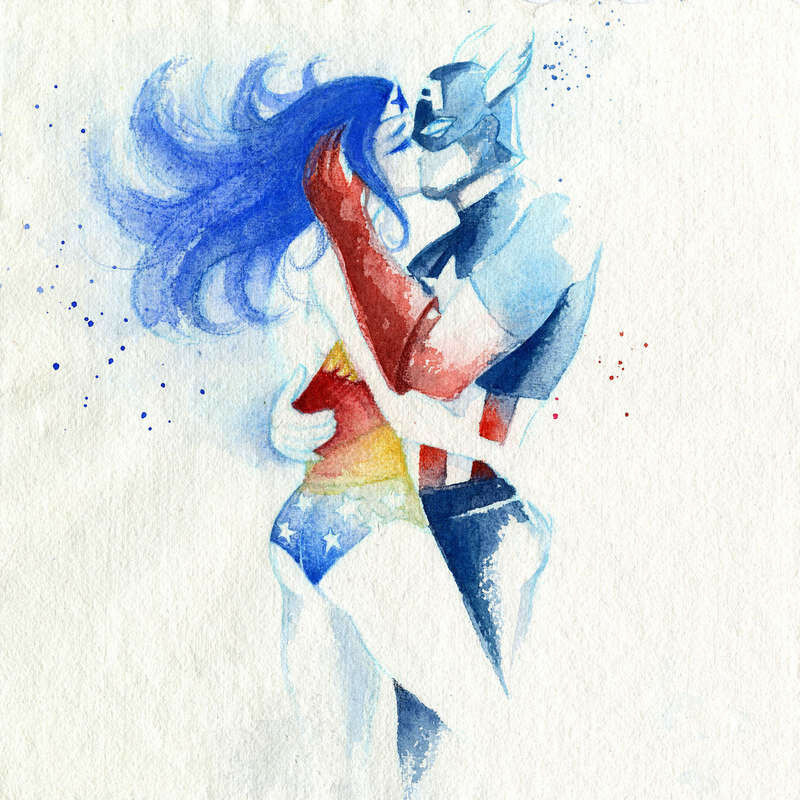 Wonder Woman and Captain America. . HD Wallpaper and background images in the Wonder Woman club tagged: photo watercolour captain america wonder woman diana prince amazon dc comics. This Wonder Woman photo might contain karatasi kitambaa and taulo ya karatasi.